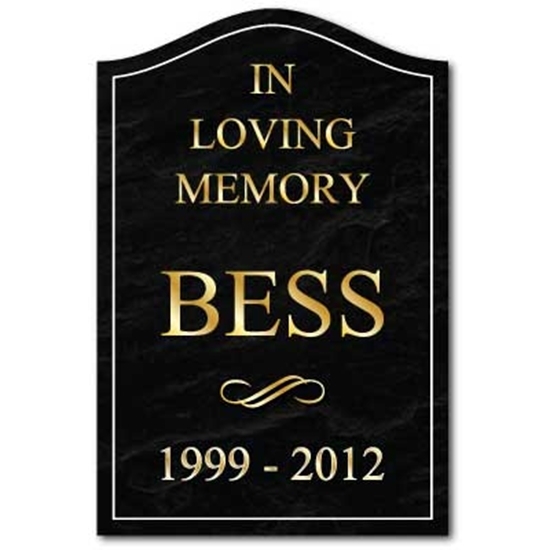 Personalised Gravestone, Stone effects, Pet Memorial Plaque, Memorial Sign. Personalised stone effect mermorial gravestone. Shaped aluminium composite sign Any Text, symbol or picutre you Like PLEASE NOTE: This is not made of Stone. It is a 3mm thick aluminium composite shaped sign with a printed stone effect. 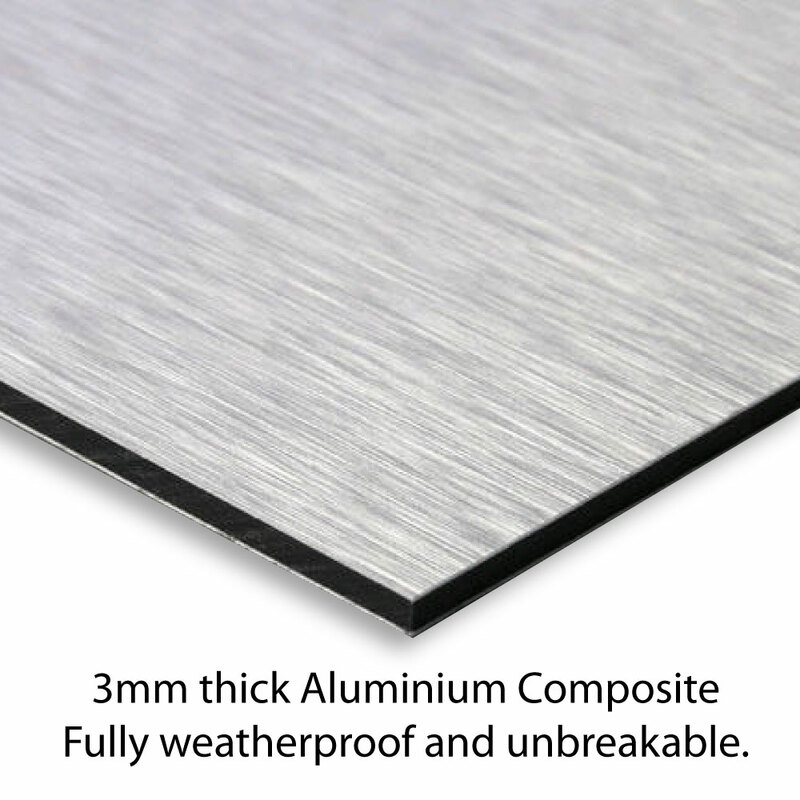 Fully Weatherproof and unbreakable. No fading - ideal for outdoors.